Do you have a Prescription for this Product? Click Here to visit our sister site for more information. 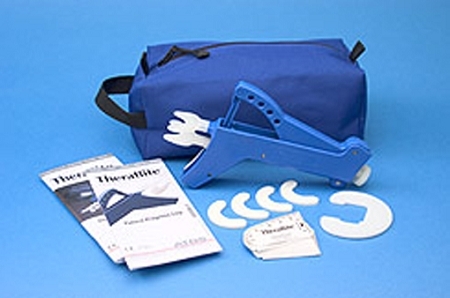 The TheraBite is a jaw motion rehab system, used after head & neck cancer, irradiation fibrosis, TMJ disorder, strokes, trismus, jaw surgery, tm total joint replacements, and more; the TheraBite helps patients regain motion and joint function in their face, mouth, and jaw. For more information, and to order with insurance. 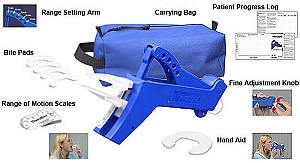 Visit us at www.craniorehab.com for details, products, and accessories, here: The TheraBite system. Available in Standard (AT1000 for patients 10+) or Pediatric (AT1005 for <10 years-old). 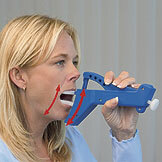 Edentulous pads for patients with dentures or missing teeth are available for the standard version.